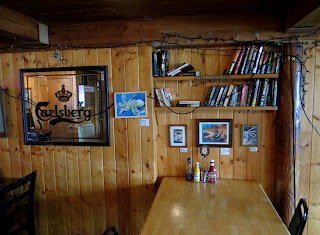 Update: The Port Side Pub has been replaced by the Brass Kraken. 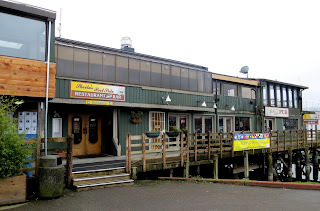 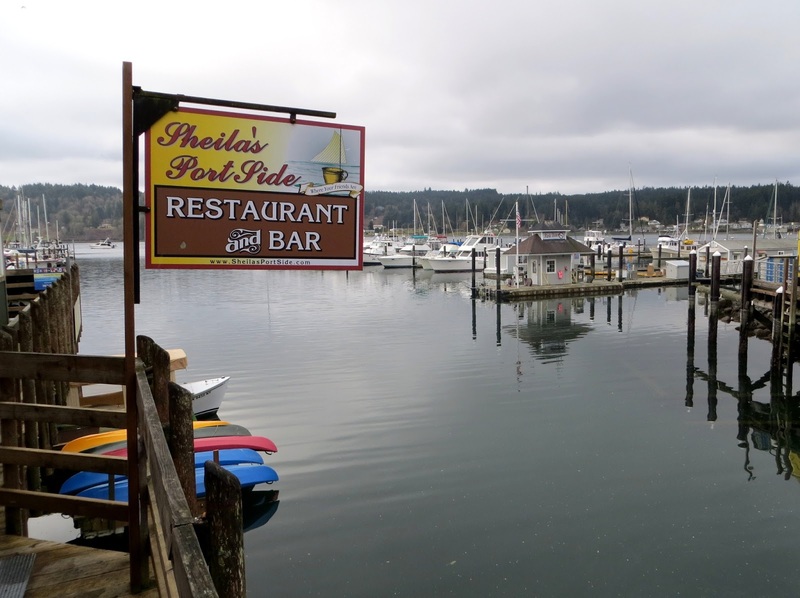 Sheila's Port Side Pub / Tavern / Restaurant and Bar is a casual bar over the shore of Liberty Bay on the Kitsap peninsula. 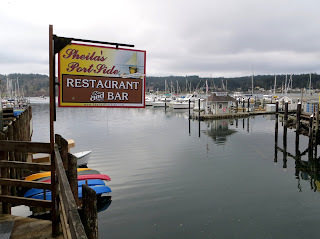 It is in the city of Poulsbo, an old cod fishing community that has been known as "Little Norway" for 130 years, and it now plays the theme up considerably to attract tourism. 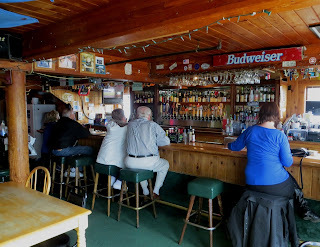 The small town is considerably more dainty than when old Ole Stubb and more Norwegian fishermen followed in the 1880s -- despite a fair number of bars and restaurants, the Port Side is the only place to stay open past midnight on weekends. The interior of the the Port Side is woody and comfortable, peppered with art and shelves of books, and a few hints of its British-born owner. 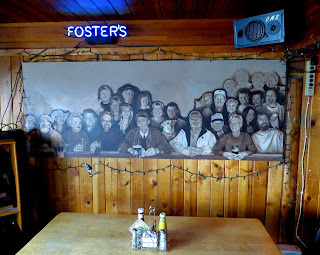 The most striking feature is a large painting by a local artist, depicting several of the staff and regulars at the bar. It will remain forever unfinished, as the artist herself, painted in the lower right, has passed away.